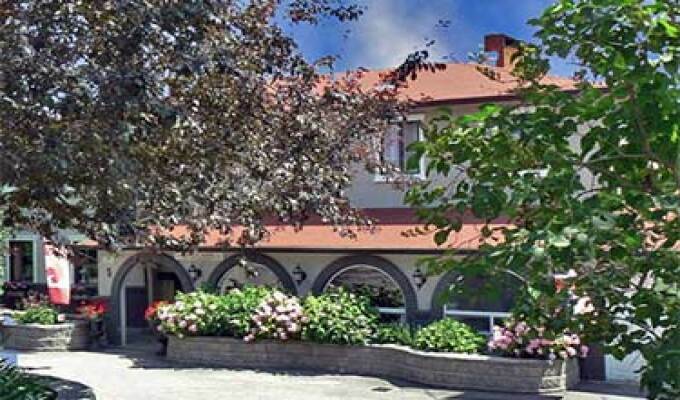 We offer traditional English hospitality in a Mediterranean Villa in the scenic part of old Kelowna. We welcome our guests with home made scones, fresh seasonal fruit and a relaxing swim in our large swimming pool. All our rooms offer the comforts of newly renovated bedrooms with king and queen size beds. Enjoy the gourmet breakfasts over-looking the English gardens. You can then drive minutes to the warm Okanagan Lake beaches, or play golf at The Kelowna Golf Course, hike in the nearby hills, or enjoy the shopping and markets of downtown. Our three guest rooms have ensuite bathrooms, TV, wireless computer access, housecoats, fridges, hairdryers, and all the comforts of home. We also have a self-contained, full-suite with a separate entrance, kitchenette, living area, and full ensuite bathroom.